Wonder Woman 2 Is Set in the 80s with Chris Pine Returning? Wonder Woman is a force to be reckoned with at this year's box office. Not only has the movie been absolutely destroying it on the financial side, but it is also the first true critical success within Warner Bros.' DC Extended Universe. Though the movie hasn't been formally announced, Wonder Woman 2 is currently in development, which makes complete sense. Now some rumored plot details have been revealed that, if true, would see Diana Prince reunite with her buddy Steve Trevor for another pre-Batman V Superman: Dawn of Justice adventure. The details come courtesy of Screen Rant and, according to their report, Chris Pine will return as Steve Trevor, which raises some questions based on what happened in Wonder Woman, but surely welcome news. But the more significant and important part of their report has to do with the timeline. According to the report, Wonder Woman 2 will be taking place in the 1980s and will be taking place during the final days of the Cold War. Here's what Screen Rant has to say about it. "According to production details Screen Rant has learned, the story of Wonder Woman 2 will be another historical adventure prior to the modern day DCEU. Set during the 1980s, the film will send Diana against the forces of Soviet Union in the closing days of the Cold War. The production team is expected to remain on board for the sequel, with confirmation that Geoff Johns is developing WonderWoman 2's script with Jenkins." 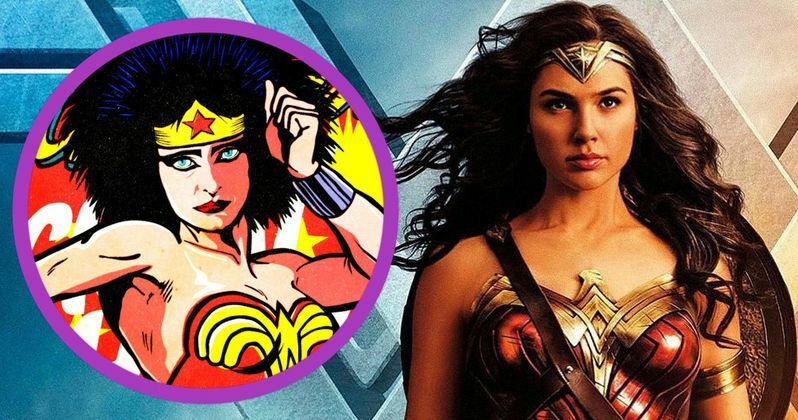 Their report also notes that Petty Jenkins, who directed the first Wonder Woman, is still in negotiations with Warner Bros. to helm the sequel. Most of the time it would be a forgone conclusion that a director would return, should the movie prove to be successful, but the studio only locked her in for a one-picture-deal. Given the success that Wonder Woman has enjoyed, that will surely cost them. But since Jenkins is developing the script and has all but confirmed her return publically, we can guess she will be the one filming Wonder Woman 2 when the time comes. Should these details prove to be true, it is interesting for a few reasons. Not the least of which is that this will be yet another movie set prior to the events of modern day, where most of the DCEU takes place. It also seemed mostly like Gal Gadot's Diana Prince had stayed out of the superhero game for a long time prior to the events of Batman V Superman: Dawn of Justice, so this event could be an exception. Additionally, 80s nostalgia is at an all-time high with shows like Stranger Things being as popular as they are, so that could prove to be a major thing in favor of Wonder Woman 2. There is a lot to play with there. Not to mention the Cold War being a fascinating backdrop for setting like this. We're probably going to have to wait a while to see how much, if any, of these details are actually true. Wonder Woman 2 doesn't have a release date yet and we still have Justice League to get through. Maybe we'll at least get a formal announcement at San Diego Comic-Con later this month? Considering Wonder Woman just beat Suicide Squad at the worldwide box office, expect Warner Bros. to make some kind of Wonder Woman 2 announcement in order to build on that good will.